Google's last design language was Holo which was replaced by Material Design. Google went on updating design guidelines for developers to start making Material apps. But with Lollipop, Google is focusing on the main thing – Android's consistency across all devices. Android Lollipop will be omnipresent across phones, tablets, watches, cars and TV too. Lollipop will have a flat look for its UI and all icons. The Material Design means menus will respond more promptly. So Android Lollipop is all about consistent design experience across all Android devices and with this design, elements can dynamically shrink and expand and most importantly the interface has a 3D appearance overall. Google has added a new battery saver feature to the latest Android version which claims to extend the battery life of devices up to 90 minutes. This Android version will display the estimated time left to fully charge the device when plugged in and also the time left before the user needs to recharge the device. Android phones have always suffered from battery life issues due to apps and services running in the background. The power saving mode has been missing from Android old stocks. You'll be able to restrict syncing, background data and also screen brightness to expand battery life. The power saving mode has been tuned in a better way to the Android 5.0 Lollipop. The battery use menu has got a better graph which informs which apps are draining the battery. More battery life is always welcome so Android Lollipop is a win-win situation for millions of Android users across the globe. Android 5.0 Lollipop has lock screen displays and rich notifications settings. Users can view and respond to messages directly from the lock screen and the richer notification settings in the new Android version includes floating descriptive notifications on the top of activities. These notifications can be viewed or dismissed without moving away from any activity. On Android Lollipop Google has offered better control over notifications. Users can control notifications from apps and sensitive content can kept hidden. The 'Priority mode' can also be turned on via the volume button of the device. There is one more feature called 'Do Not Disturb' mode, just like in Apple iOS, which allows users to selectively silence notifications and calls. The entire look and feel of the notifications is changing as lock screen can be easily accessed now, along with a revamped pull-down menu. The layout and location of notifications have been completely changed and lock screen widgets are removed from Android 5.0. Android 5.0 will allow encryption by default. You can encrypt your Android device now too, though it may be a painstaking job. You need to plug in your phone and the encryption process will take minimum 30 minutes. And just to warn you, if anything goes wrong, your data will get lost. But with Android 5.0 encryption will be an automatic thing. Android 5.0 features an opt-in kill switch known as 'Factory Reset Protection' which allows users to wipe out the device's data as per their wish. With this Android you can also unlock your phone in an easier way without entering a PIN or drawing the pattern. You can use an Android watch to unlock your phone which is kept in close proximity. Lollipop also comes with SELinux enforcement which means better protection against viruses and malware. Google wants to curb swipes on devices which are needed to access important functions like Wi-Fi, Bluetooth and GPS activation. The new Android includes built-in tools for flashlight, hotspot and screen cast controls which means you can get rid off many third party apps now. 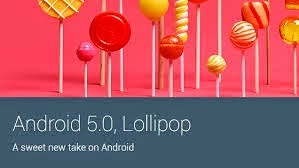 Setting up an Android device will become faster now with Android 5.0 as the new Android device can be set up just by tapping it on the old device, though it requires NFC support. All apps from Google play will be transferred to the new device, if the same Google account is used. In certain situations, you can also adjust brightness manually. A new Messenger app is present in Android 5.0 which comes with Nexus 6 which is said to be a simplified version of Google Hangouts. This Messenger has been designed for sending and receiving SMS and MMS messages on Android in a quicker and easier way. More updates about this Messenger are still awaited though. Android 5.0 supports 64-bit and the new Nexus 9 also features a 64-bit chip, though Nexus 6 doesn't. Well this kind of performance boost will not make a very huge difference for average users but Google will be shipping native 64-bit versions of Gmail, Maps and other apps too. But this development will not mean much if you are using a 32-bit device only. The runtime environment in the new Android version is ART which promises four times better performance and better desktop level graphics performance too. The updated camera settings supports advanced features like burst mode and fine settings tuning. Full resolution frames around 30fps can be captured in this new update and shooting can be done is raw formats like YUV and Bayer RAW. Android 5.0 also supports UHD 4K video playback, tunneled video for high quality video playback on Android TV and also improved live streaming. Professional features have also been added like controlling settings for the sensor, lens and flash per individual frame. In Android 5.0 developers will be able to implement their own technology to take full advantage of hardware and any mediocre camera can be transformed to a better one. Device sharing features have been integrated in Android 5.0 which allows users share their device with family members and friends without giving access to sensitive content. It features a guest user mode with custom options for access which allows users fix the place of the screen which is displayed. There is also a feature in Lollipop which allows users log in to another Android phone to access synced messages and content, if the device is forgotten at home. There are some more features in this OS and more fixes and improvements. In this new OS finding things will become easier with improved search indexing and search results will be saved across different apps and devices. Other relevant features of Android 5.0 include improved hardware keyboard accessory support, support for 15 new languages including Bengali, Kannada, Malayalam, Marathi, Tamil and Telugu, improved audio and video capabilities and improved Internet connectivity with more powerful Bluetooth low energy capabilities.